The Skinny Dipper is all about the contrast between mellow and tart flavors, and blending the two to bring out the best in each other. 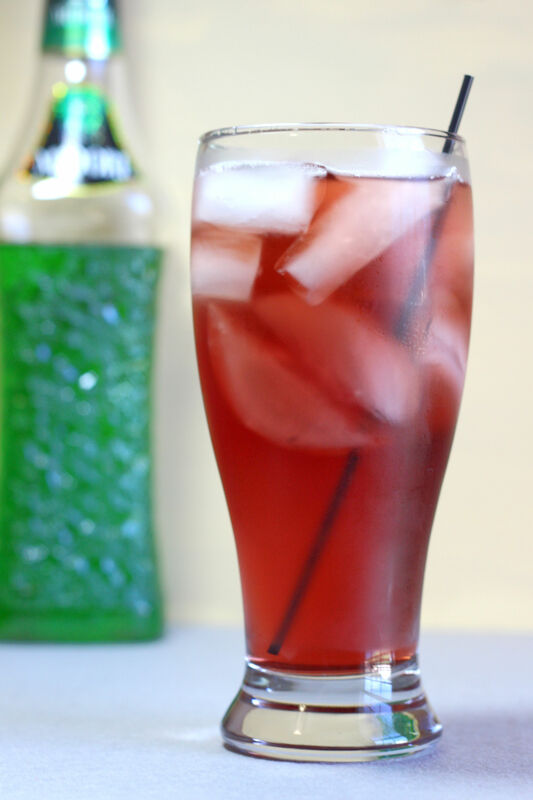 The ratio is important here – three times as much of the tart cranberry juice as the mellow Midori. Cranberry and melon may not sound like a natural combo, but it actually works well – particularly if you like both flavors on their own. This is a nice choice for when you’re wanting a drink with a goodly amount of fruit juice in it. Fill a cocktail shaker with ice. Pour in both ingredients and shake. Fill a tall glass with ice and strain the mixture into it. I is a very good drink. I am going to have it with lunch or dinner. It is also very easy to make!